Q-Free and Silicon Labs have collaborated on a new outdoor parking IoT sensor that helps drivers find vacant parking places in towns. The companies have created Q-Free’s ParQSense smart parking sensor, which uses the Silicon Labs’ EZR32WG Wonder Gecko wireless microcontroller for control and sub-GHz connectivity. The sensor was deployed as a pilot this year in the UK, Netherlands, Sweden, Norway and North America, and will be released for commercial use this month. Q-Free has focused its resources on developing ways to reduce traffic flows. It provides a range of transportation technologies including electronic tolling, vehicle counters, surveillance technologies and parking management solutions. The ParQSense smart parking sensor is one of the company’s first sensor products to support outdoor parking needs. According to an INRIX study, 20 per cent of traffic in urban areas can be attributed to drivers searching for parking spots. 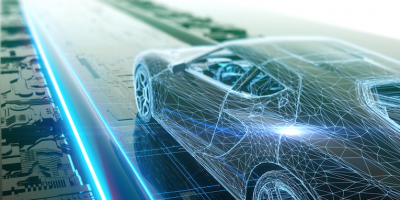 “To develop an IoT sensor solution for outdoor parking that would succeed in today’s market, we had to deliver a combination of low-power, long-range wireless connectivity and high performance,” said Brage Blekken, a project manager in Q-Free’s R&D department. “Silicon Labs helped us overcome this challenge by providing best-in-class wireless technology capable of transmitting data over long distances in the sub-GHz band,” he added. Many existing outdoor parking sensors on the market had accuracy limitations, and struggled with wireless capabilities and interference from cellular networks commonly associated with urban environments, reports Q-Free. The Q-Free ParQSense option uses dual radar and magnetic field technology to sense with 99+ per cent accuracy whether a vehicle is present in a parking space. The application transmits data to centralised base stations over long distances using narrowband sub-GHz wireless connectivity. Q-Free supplies intelligent transportation systems comprising tolling, parking, info-mobility, traffic management and C -ITS/connected vehicle solutions. It was founded in 1984 and headquartered in Trondheim, Norway, the company has over 400 employees, offices in 18 countries. Silicon Labs provides silicon and software for the internet of things (IoT), internet infrastructure, industrial automation, consumer and automotive markets.